G3TECH was asked to confirm the presence of live conduit after an initial survey of a grade concrete pad that was to be cut for equipment installation. Data was gathered of the entire area in the form of 4 – 8’ x 8’ scans. Grids were stitched together utilizing sensor and software technology. 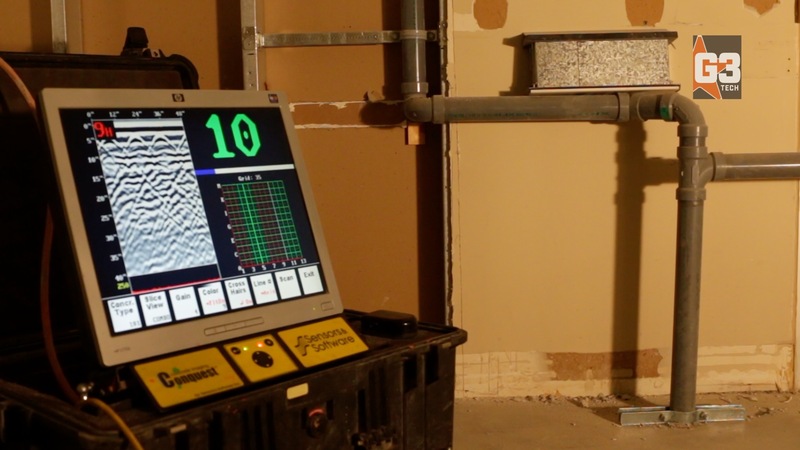 G3TECH found that what was thought to be live conduit was an anomaly in the rebar pattern. Utilizing sensors and software technology G3TECH was able to assure the contractor that no conduit was present in the area and it was safe to cut and remove. A college in Whitehorse, Yukon, had a 20+ year old suspended concrete slab that developed a 3" sag in one area. G3TECH surveyed the area and was able to confirm rebar patterns, spacing, depth from the surface, slab thickness, and location of beams. With this data, they were able to determine the cause of the floor deviation. G3TECH utilized sensor and software technology, and 3D Voxler processing software to complete this project. They then provided a comprehensive 3D report to the engineering firm. 14-3111 Millar Avenue? Saskatoon, SK S7K 6N3, Canada? #100 - 18228 105th Avenue NW? Edmonton, AB ?T5S 2R5? 405 Twentieth Street East? Saskatoon, SK S7K 6X6? 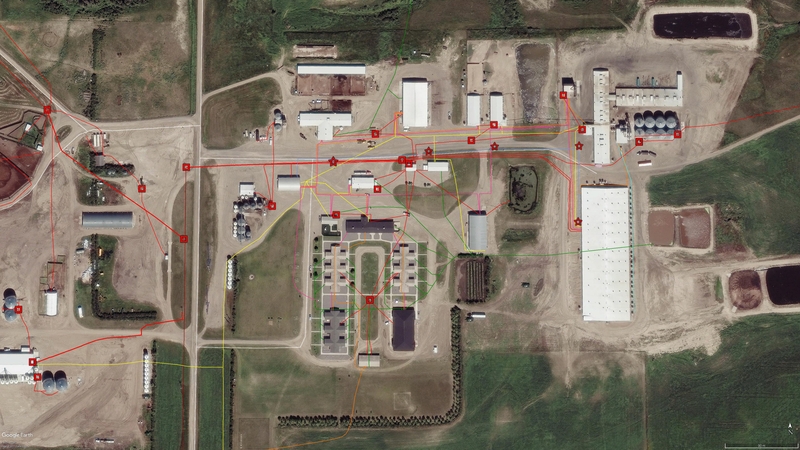 G3TECH was contracted to locate and map the Sunnydale Hutterite Colony. All utilities were located then GPS mapped with up to 7cm accuracy, and the client received an interactive KMZ map and training in the use of it. A third party satellite imagery was used initially, and UAV imagery was added later. Sunnydale will be able to use these utility maps for future planning and troubleshooting, safety prior to and during ground disturbance operations, and accurate up to date record keeping. Radio Detection and Trimble technologies were utilized to complete this project. U of S Residence Dept. 3038 Faithful Ave Saskatoon SK, S7K 0B1? © Copyright 2019 G3TECH. All rights reserved.